Yellow Squash is a staple in many Southern gardens. It’s usually pretty easy to grow and rather prolific. That means that there is usually some extra around. 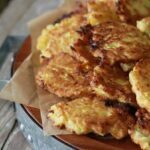 If you’ve got some extra squash around, you should really try these delicious Squash Fritters. (Even if you don’t have any extra around, you can usually find it at the grocery store without any problem.) These are light and crispy and incredibly easy to make. If the plain version doesn’t suit your fancy, try adding about 1/2 teaspoon of curry powder to give them a kick. I love them both ways! Y’all enjoy! Wow! That makes my mouth water! Will definitely be trying this one! Thanks! In the pictures, it looks like the squash has not been peeled and the instructions do not say. Do you remove the skin? Either way, this looks delicious and I can’t wait to try it! Nope, I do not peel the squash. It’s so soft, you won’t know it’s there. Try frying a sliced squash like a green tomato, you won’t believe it it isn’t, a green tomato. My mother used to do this to make my dad think she was cooking green tomatoes since he would not eat squash. I like both so it wasn’t a problem for me. Absoutely! That’s another one of my favorite ways to eats squash. Absolutely mouth-watering! What a way to dress up our friend the squash! 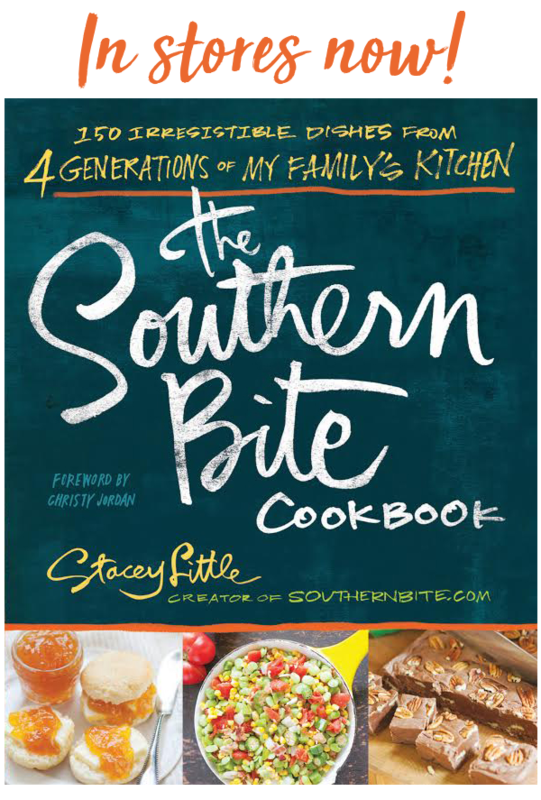 Stacey, have you ever used corn meal instead of flour? When I fry squash, I roll them in corn meal. I have! When if fry squash by itself, I almost always use some cornmeal, but for these, I like them with flour. I love squash cooked any way this really looks. good. I know this will be on my plate this weekend. These fritters look yummy! I love that you used squash since it’s so easy to come by right now. Just bought some little squash at the farmers market this morning. I like to use yellow and zucchini for these fritters. I will sometimes make up the batter than roll in self rising cornmeal mix for that added crunch. Using both makes them very colorful. 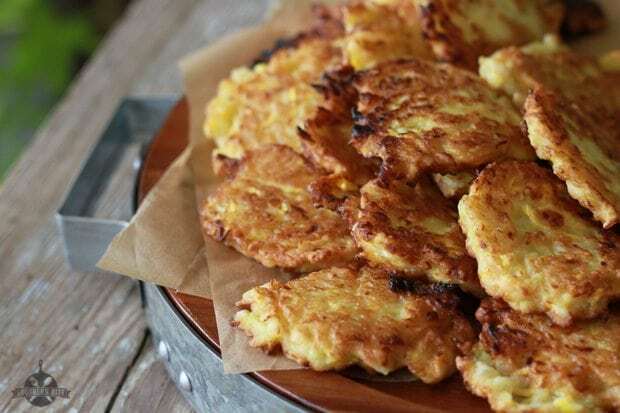 Hadn’t thought of making these this year but guess what’s on the table for supper tonight–you are correct — squash fritters. Well, I’m awfully glad I reminded ya! Y’all enjoy! I wouldn’t recommend either with this recipe. They are just best fresh. I’m going to try this tonight, but with eggplant, don’t have squash at the moment. I grew up with my grandmother making squash fritters and this sounds exactly like her recipe. Cannot wait to try them. Thanks for the recipe – I just picked a bunch more summer squash and zucchini – we planted more than we thought – so I”m looking for a change – THANKS!!! It’s from the movie A Knight’s Tale: “Dilled veal balls with squash fritters – I’ll take my five now”! 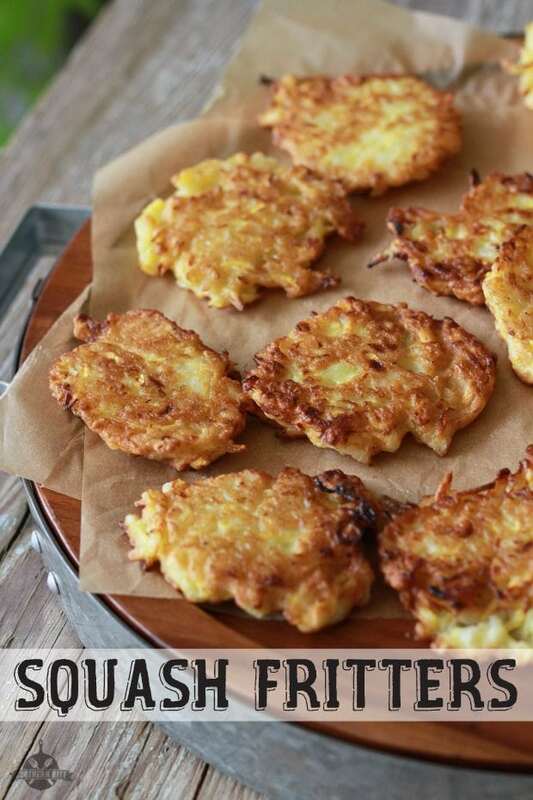 Love these squash fritters! My husband couldn’t leave them alone! They were even great made with zuchinni squash. Quick & Easy. So glad y’all enjoyed them!! Sounds delish! My kids would like it more with a little cheddar. Would that mess things up? Not at all. Cheddar would be a great addition! Can you bake them? I don’t care much for fried food. I wouldn’t recommend it. This is one of those things that is just better fried. 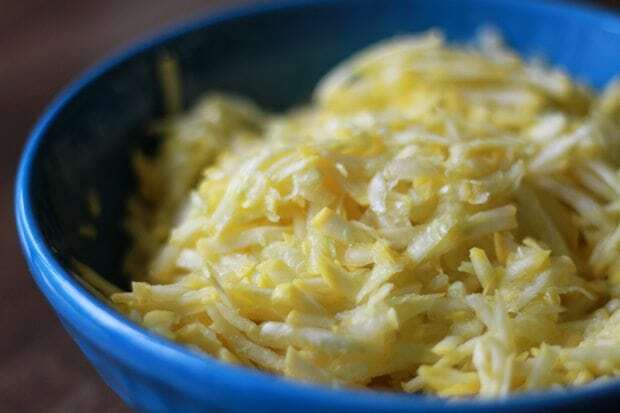 Can you use a food processor to shred the squash (like you do cheese)? I kill my knuckles on box graters…. Made these last night. I used cornmeal with a little flour. That were Yummy. Eating these as I type! They are amazing! The curry puts these over the top. Thank you! Oh, I used whole wheat pastry flour and coconut oil. YUM! I just love the curry powder in them, too! Glad you enjoyed them! This was DELISH! Thanks for the recipe and keep up the great work! I make a “squash patty” from an old farmers cookbook that is much like this recipe. My recipe calls for just slicing and boiling the squash first. 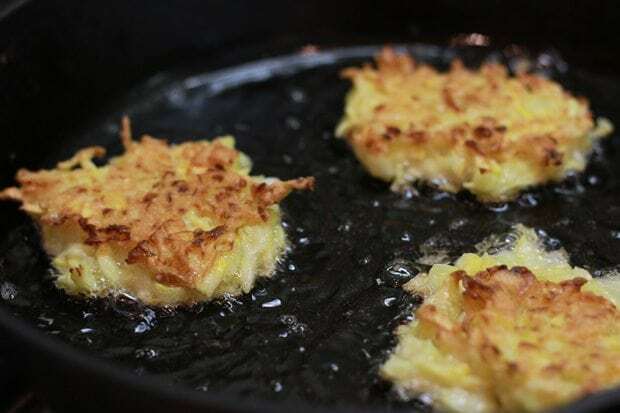 For that reason, I usually make use of my leftover squash and onions to make the recipe–a good use for about a cup of leftover squash and it reduces the steps to making the patties. This is a good option for those times we do not have leftovers and the hubby makes a request. This time of year we are having squash several times a week to try and keep up with the amount produced in the garden! Great idea! Thanks for sharing, Jan! Yum! We enjoyed these with another Pinterest recipe for Comeback Sauce. 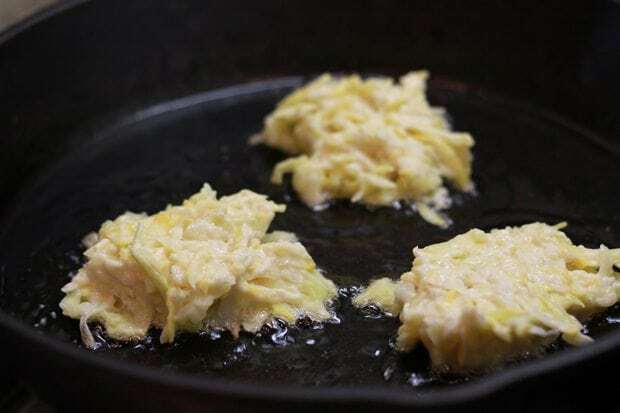 Cooked them on a griddle and they complemented our meal perfectly. Thanks for sharing! Sounds great, Erin! So glad y’all enjoyed them! I make these all the time. Some days I grate some of the onion (and I don’t drain either onions or squash) and other times I don’t. I have frozen leftovers when I make TOO many (not sure there is such a thing), but usually I just eat the whole batch. Delicious. I’m guilty of that too, Pat! Made last night for dinner and they were just ok. (Maybe because I only had 3 squash and self rising flour) They needed something. Today I took a leftover one out of the fridge and smeared pimento cheese in it. Holy smokes this was YUMMY!! 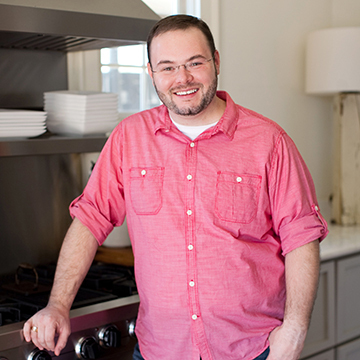 I just tried it and it was flavorful and DELICIOUS! I remixed it a tiny bit. I added minced garlic, seasoned pepper, herbes de provence and curry. So glad you enjoyed them! Way to make them your own! Can zucchini be used in place of yellow squash?